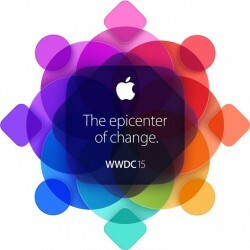 Apple's annual Worldwide Developers Conference (WWDC) kicks off today at the Moscone West convention center in San Francisco, with the event headlined by the traditional keynote address beginning at 10:00 AM Pacific Time / 1:00 PM Eastern Time. In line with tradition, Apple is expected to provide the first looks at iOS 9 and OS X 10.11, with the company also announcing a fresh push into streaming music led by a new Apple Music subscription service and a revamped iTunes Radio. Apple is also expected to debut new tools allowing developers to build native Apple Watch apps and perhaps make some additional announcements related to Apple Pay and HomeKit. 12:26 pm: And that's the end! 12:26 pm: "Have a great week, it's great to be together!" 12:21 pm: Cook: "Before we go, it's only fitting to celebrate the launch of Apple music with an incredible music performance by one of the hottest new artists in music today. It's not only a hot new artist, but he's going to do a worldwide premier of his newest song this morning. 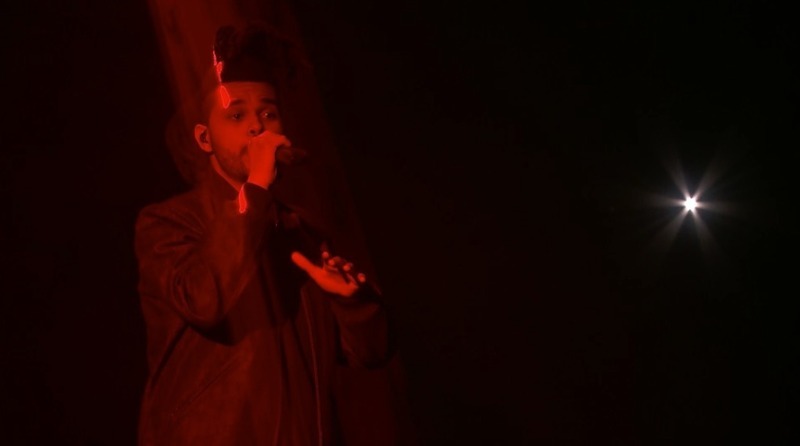 Please give it up for The Weeknd!" 12:21 pm: "It is the privilege of a lifetime to work with them." 12:21 pm: Cook: I'd like to recognize our team at Apple for making and creating all these products you've seen this morning. 12:20 pm: This has been a jam-packed morning, we hope you've enjoyed it as much as we have. 12:19 pm: Cook back on stage -- we made a great ad. 12:19 pm: Everyone gets their own account, with their own library, playlists and recommendations. 12:18 pm: Doing something really great for families. For $14.99, can have six family members. 12:18 pm: $9.99 per month, and we want everyone to try it so the first three months are free. 12:18 pm: Launching in 100 countries later this month with iOS 8.4, and a new versions of iTunes for Mac and Windows, Android coming this fall. 12:17 pm: And that is Apple Music. It is a revolutionary music service with recommendations just for you, a worldwide live radio station with the best DJ's, and an exciting way to connect for artists. All the ways you love music, all in one place. 12:16 pm: If you went to a movie and forgot a song from a movie soundtrack... "Play the song from Selma"
12:16 pm: "Play the top song from May 1982"
12:15 pm: Showing off Siri's music chops: "Play born to run." "Play top 10 songs in Alternative"
12:14 pm: Showing off Connect: Artists can share all kinds of stuff, studio sessions, photos, videos, early lyrics, etc. 12:12 pm: Giving a demo of Beats One -- has a very similar sound to BBC Radio One, where Zane Lowe's popular evening show was aired. 12:09 pm: Functionality for discovering what music the user likes is similar to Beats, but with a new UI. 12:06 pm: Eddy Cue wishes Phil Schiller a happy birthday! 12:02 pm: Drake sporting old-school rainbow Apple logo on his jacket. 12:01 pm: Bringing Drake on stage to talk about Connect and what it's like for an artist. 12:00 pm: Worldwide, live, broadcasting 24/7, coming from New York, LA and London. 12:00 pm: We're called Beats One, we're always on, playing the music that we love." 11:59 am: "Move the needle. And that's what we're doing." 11:59 am: Good music on the radio creates a debate. "Put the great music in front of the average." 11:59 am: The truth is, Internet radio isn't really radio. It's just a playlist of songs. We wanted to do something really big. Create a worldwide live radio station broadcasting around the globe. Beats One. 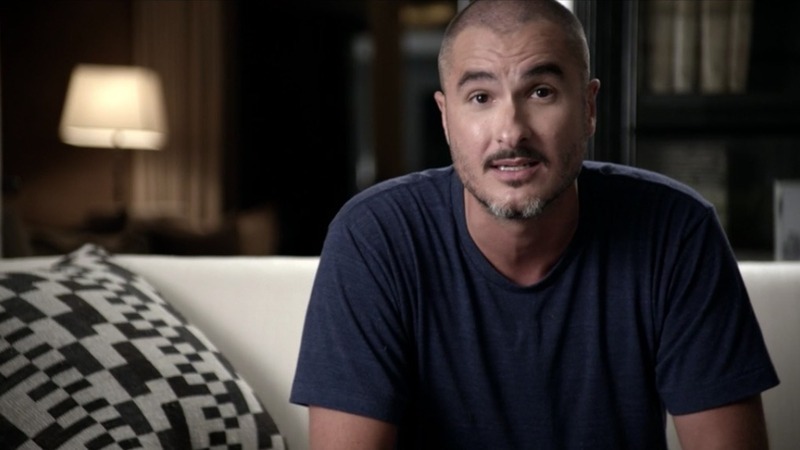 Hired Zane Lowe. 11:58 am: Music personalized to your taste based on songs you love. 11:57 am: Search and stream millions of songs on iTunes. 11:57 am: Revolutionary Music Service. Starts with My Music. 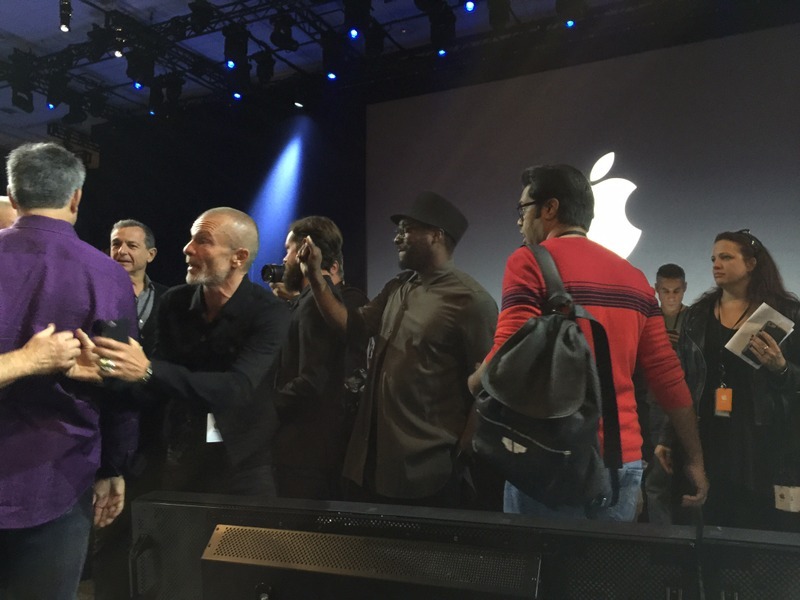 11:57 am: Iovine brings Eddy Cue on stage. 11:56 am: For artists: This is an ecosystem, its built to fit together. It fees off each other. When you upload your music to Apple Music, anything can happen. 11:56 am: Part three; Connect: Connecting fans with artists. 11:55 am: Let's build the first ever worldwide live radio station, broadcast from three cities that plays music not based on research or genre or drumbeats. Only music that it great and feels great. A station that has only one master -- music itself. 11:55 am: Second thing: live, 24/7 global radio station. 11:54 am: Why did that happen? It was probably programmed by an algorithm alone. Algorithms alone can't do that emotional task. 11:54 am: You're in a special moment, exercising... or some other special moment. And your heart's pumping. And you're about to turning up the reps. And the next song comes on... BZZZZT Buzzkill. 11:54 am: Three things: Revolutionary music service. When you're listening to a song, what song comes next? 11:53 am: One place, one complete thought around music. 11:52 am: New 24/7 radio station, Beats One. Anchored by famous DJ's from LA, New York and London. 11:50 am: From that, I'm standing here so proud of everyone that's worked so hard, I'm going to introduce you to Apple Music. 11:50 am: So, I reached out to Tim Cook and Eddy Cue, guys can we build a bigger and better ecosystem? With elegance and simplicity that only Apple can do? One complete thought around music. 11:50 am: Technology and art can work together, at least at Apple. Now 2015, music industry is a fragmented mess. You want to stream music, you can go over here. You want to stream video? Check these places out. You want to follow an artist? There's more confusion for that. 11:49 am: Telling story of how he got involved in digital music... Apple showed him iTunes. "Wow, these guys really do think different!" 11:48 am: I'd like to bring up someone who knows more about music and the music experience than anyone I know. 11:48 am: "I know you are going to love it, it will change the way you experience music forever." 11:48 am: Today we're announcing Apple Music, the next chapter in music. 11:46 am: Made a video about the history of music. 11:46 am: We love music, and music is such an important part of our lives and our culture. We've had a long relationship with music at Apple." 11:46 am: We've been working really hard on it and we're super excited. 11:45 am: "Before we close this morning, we do have One more thing..."
11:45 am: Cook back on stage. 11:45 am: "We're just getting started here, looking forward to the journey ahead with Apple Watch." 11:44 am: "I'm super excited to see what all of you do with this stuff." 11:40 am: A lot of access to the watch with native apps. Demo starting. 11:39 am: Using digital crown, access to digital crown. Control custom UI elements by rotating the crown. 11:39 am: HomeKit is native on the watch, talk to HomeKit devices on the watch, great future for control from the wrist. Accelerometer. Taptic engine, range of feelings and audio that will come out the speaker. Feedback on wrist both audio and felt. 11:38 am: Apps can access the microphone, play audio through watch speaker or Bluetooth speaker. Short-form video on the watch face, HealthKit including streaming heart rate data. 11:37 am: Wandering away from the phone, Watch can connect directly to known Wi-Fi networks. 11:37 am: App logic runs on the phone, but with native apps, UI and App Logic will run locally on the watch. 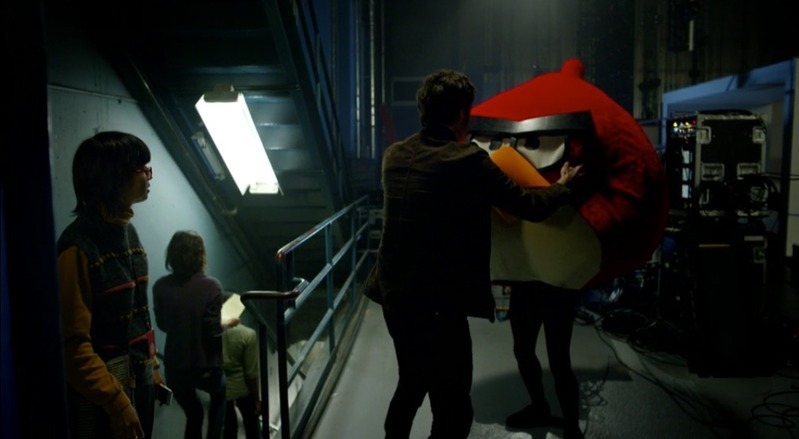 Great new frontier for apps on the watch. 11:36 am: "But that's not all!" 11:36 am: Can request glances from Siri. "just some of the highlights coming in watchOS 2." 11:36 am: Siri can get mass transit directions, control things in the home -- "Hey siri, set the dinner scene" -- set the lights just how you want them. 11:35 am: Transit, departure times, navigating will get step-by-step directions for getting through mass-transit. 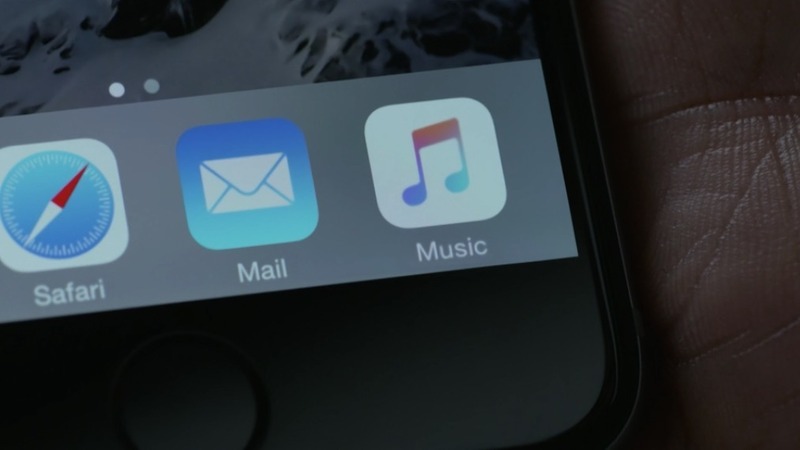 11:35 am: Supporting store cards in Apple Pay, Wallet coming to watch so rewards cards coming too. 11:35 am: New heath and fitness achievements that can be shared over iMessage, Facebook or Twitter. 11:34 am: "Go for a 300-calorie bike ride", "Go for a 5-mile run"
11:34 am: Siri can start workouts, "Hey Siri, start a 30 minute run in the park"
11:34 am: Health & Fitness, favorite apps can run natively on the watch, and workouts with these apps will contribute to all-day activity. 11:34 am: Adding FaceTime Audio for higher fidelity calls. 11:34 am: Read email on watch, and can now reply to email as well. 11:33 am: Digital Touch updates, can use multiple colors in drawings. 11:33 am: Communication, adding multiple sets of friends and can add a friend right from the watch. 11:33 am: Great experience for the watch when its on your nightstand and charging. Nightstand mode. Display of the time, set an alarm that will wake you up in the morning. Can snooze or turn off the alarm with the buttons on the side. 11:32 am: "A really fun way to interact with time on your watch"
11:31 am: Current information, but also weather later today. What if you could go forward in time? Supporting that in watchOS 2, called Time Travel. Rotate digital crown, information will update on your screen. 11:31 am: Will work on modular face and others that support complications, a variety of templates for developers. 11:31 am: Show flight time, state of home control system, charge level of electric car, or sports scores. Choose info you'd most like to see. 11:30 am: App developers can make own complications. 11:30 am: Timelapse photography, when you raise your wrist, you'll see 24-hour shoot set to your local time. 11:29 am: Timepieces: Watchfaces and how you can change them. New watch faces including Photos Face, using album or selected photos. 11:29 am: watchOS 2: enhancements -- timepiece functions, improvements in communication, health and fitness, Apple Pay, Maps and Siri. 11:28 am: Bringing Kevin Lynch on stage. 11:28 am: Began making Apple Watch available just six weeks ago. Pretty amazing that we're already talking about the next version of the watchOS. Great new capabilities. Will bring native Apps right to your wrist. 11:28 am: We really believe deeply in this space, we believe in technology designed for the wrist. By opening up the platform, you will create new and powerful uses that today we can only begin to imagine. 11:27 am: This is a giant moment. This is how we felt when we launched the App Store. Opening a new platform to developers. 11:27 am: "Now, we want to talk about the next opportunity to transform the world." The opportunity to bring native apps to the Watch with a new version of watchOS. 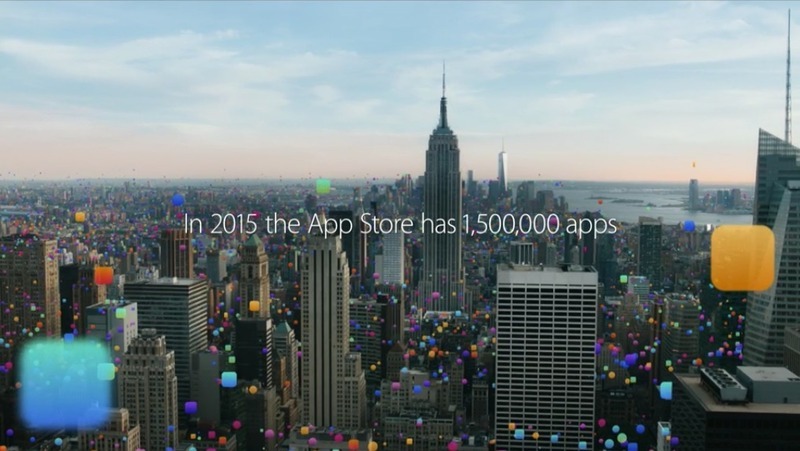 11:26 am: 100 billion apps downloaded. 11:26 am: 850 apps downloaded every second. 11:26 am: "There's so much that can still change and evolve due to the power of applications." - The average person has 119 apps. 11:22 am: 98% of all Fortune 500 companies have an iOS app. 11:21 am: Apps plus handheld devices, that's a watershed moment in civilization. - Neil deGrasse Tyson. 11:20 am: Most profitable app marketplace on the planet. We could not be more proud of the work that you are doing. More and more, developers are transforming, empowering and reimagining the very important things that we do in our daily lives. We've made a video. 11:19 am: Rate of growth and momentum is absolutely staggering. Industry has never seen anything like this before. App Store has forever changed software and software distribution. Been a economic boon. Paid out $30 billion to developers. 11:19 am: App Store is key. Hard to believe the App Store was launched only 7 years ago. Happy to announce that the App Store recently passed a major milestone: The App Store has passed 100 billion app downloads. 11:18 am: Seemingly no limit to what you can do. 11:18 am: Swift, a single language for you to create apps for OS X and iOS. So many possibilities for you to use these platforms and these tools to create unbelievable apps that will impact business and healthcare and education and everything in our lives. 11:18 am: El Capitan, we've created a new version of OS X that dramatically improves the experience of the Macintosh. 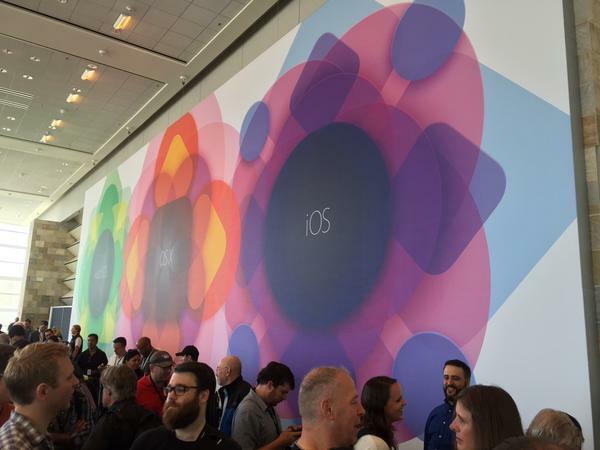 11:17 am: "iOS keeps getting better and better, iOS 9 takes it to an even greater level." 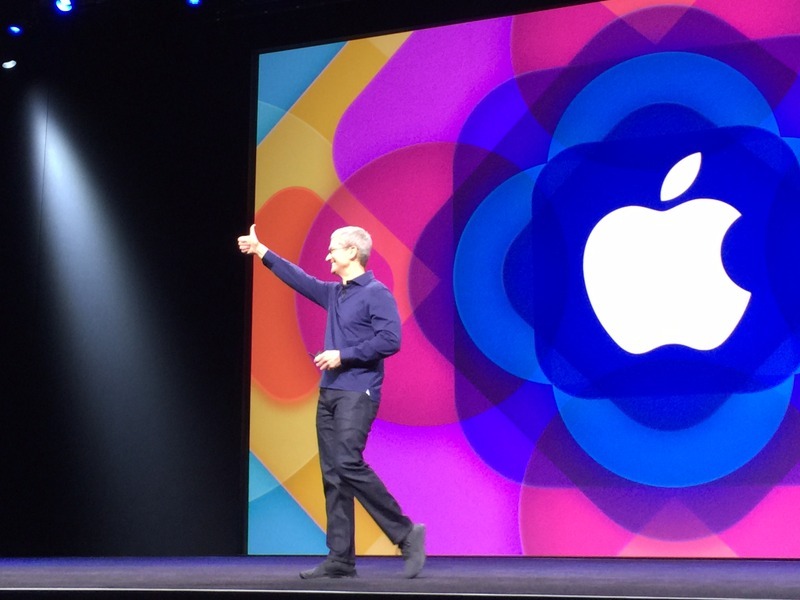 11:17 am: Tim Cook back on stage after long presentation by Craig Federighi. 11:17 am: Free upgrade in the Fall, and will support all devices supported by iOS 8. 11:17 am: Developer beta today, Public Beta for iOS 9 in July. 11:16 am: Compiler and standard libraries for iOS, OS X and Linux. 11:16 am: Huge applause from the developer-heavy crowd. 11:16 am: For 20 years to come. We think Swift should be everywhere and used by everyone. We're going to do something really big. Today we're announcing Swift will be open source. 11:15 am: "We think Swift is the next big programming language." 11:15 am: Swift: Stepping on the gas this year with Swift 2. We've continued to roll out optimizations. 11:14 am: CarPlay: Audio apps, now supports apps by automakers to control things in the car. More kinds of screens, HiDPI. Wireless CarPlay. Apple to get in car without taking phone out of the bag and start experiencing CarPlay effortlessly. 11:13 am: HomeKit: Adding supports for Window Shades, CO sensors, motion sensors, security systems. Access your home remotely and securely through iCloud. 11:13 am: Lots of additional health metrics to be tracked. Reproductive health. 11:12 am: GameplayKit with AI and pathfinding, Model I/O for 3D lighting on models, ReplayKit to let users record their gameplay and share it. 11:12 am: iOS 9 is a great release for users, but once again is a fantastic release for developers. 11:11 am: Security - two-factor authentication to protect their data in iCloud. Software Update, we want everyone to get to iOS 9. We've done major enhancements to the architecture. Reduce amount of free space you need to get to iOS 9 from 4.6GB in iOS 8 to 1.3GB. 11:10 am: New Low-Power Mode. "Pulls levers you didn't know existed." Extends battery life for 3 hours. 11:10 am: Great features, but also foundations. Performance, battery life (focused on real world use cases, seeing addition of 1 hour of typical use on full charge on iPhone). 11:09 am: Not all features available on all devices, SplitView only on iPad Air 2. 11:09 am: Developer API's -- if you've adopted auto-layout and size classes, that carriers over onto iPad. 11:07 am: Picture-in-picture with currently playing videos while in another app. 11:06 am: Can swap apps in one side, keeping another app static on the other. 11:05 am: Bring in other applications, calendar, notes. Tap on divider and get SplitView. Multi-app, multi-touch. 11:04 am: New task switcher, full screen previews of apps. Finger-swipe from the slide brings in an app, "SlideOver"
11:04 am: iPad has always supported some multitasking, but for iOS 9 we're taking it to a whole new place. 11:03 am: Multitasking coming to iPad. 11:03 am: Hook a physical keyboard, discover shortcuts, shortcuts for app switching, and to searching in Spotlight. 11:03 am: QuickType keyboard. Shortcuts coming to the bar. Cut, paste, formatting. Can put two fingers on iPad keyboard and it becomes a trackpad to move cursor. Make selections. 11:01 am: Now to iPad. 11:01 am: Rolling out in US, UK and Australia. 11:01 am: "Great content comes from all kinds of sources. Whether a local newspaper, a blog, or a special interest publication." 11:01 am: NYTimes, Conde Nast, Politico, many more. 11:00 am: Private from the ground up, what you read is not linked to other apple services." 11:00 am: "Stunning content, personalized for you, fantastic on iPad and iPhone as well." 11:00 am: Craig back on stage. 11:00 am: "We can't wait to get it in your hands, thank you very much!" 10:58 am: Publisher channels, topics, news keeps track of a million topics so I can be specific about interests. Search "Swift", and get results like Taylor Swift and the programming language. Machine learning algorithms search articles to decide which stories belong in which article. 10:57 am: "I read ESPN for the articles... but there's also some beautiful photos and videos." 10:56 am: Rich typography, beautiful images. "The best mobile reading experience ever." 10:55 am: Choosing sites and genres, combines into a custom feed. 10:54 am: News from the world's greatest sources, personalized for you. Beautiful content, gorgeous imagery, custom layout and rich typography. 10:53 am: The apps that we've chosen to build in to iOS. They represent fundamental experiences to living on mobile devices. There's one that we've been wanting to do for years. 10:53 am: Cards for vendors will show if they support Apple Pay. 10:52 am: Coming to a number of cities, including many in China. 10:52 am: Taught Siri about transit. "I'd like to take the subway to the Guggenheim museum." 10:52 am: Step-by-step directions, including time for walking directions. Taking special care to get details right. We carefully surveyed entrances and exits so we can give you walking directions on time to travel from where you actually are. 10:51 am: Transit. emphasizes all the different transit lines. Buses, trains, subway stations. See all the lines that run through a station. Multimodal routing. 10:51 am: Focused on drivers, freeways and roads. For a lot of iOS users, they're mostly focused on public transit. SO we've created great map just for them. 10:50 am: Maps: continued to invest heavily in Maps. 5 billion user requests per week. 3.5x higher than the next leading mapping app. 10:49 am: Craig is back. Talking about enhancements to the Notes app. Formatting options. Checklist options. Photos. Drawing/sketching tools. Can share things from Share Sheets. 10:47 am: Passbook being renamed "Wallet"
10:47 am: New features coming in iOS 9: Store credit and debit cards. Store cards offer unique membership benefits. Kohl's, JCPenney, BJ's. Loyalty and rewards cards coming too. Coming to Dunkin' Donuts this fall. 10:46 am: Will be able to commute and pay for fares on London's Underground with Apple Pay. 10:46 am: 250,000 UK merchant locations, more than we started with in the US. 10:46 am: In July. Ulster Bank, NatWest, Amex, Santander, RBS, Nationwide, HSBC, First Direct. 70% of credit and debit cards in the UK. 10:45 am: Bringing Apple Pay to the UK. 10:45 am: Later this month, Pinterest will launch buyable pins using Apple Pay. 10:44 am: Great momentum within apps as well. So easy to use in-app, seeing 2x conversion rate. 10:44 am: Will surpass 1 million locations next month. 10:44 am: Working with Square to enable small businesses to accept Apple Pay. Square launching reader to accept Apple Pay this fall. 10:43 am: Last year we started with credit and debit cards, 2500 banks. Adding Discover this fall. 10:42 am: Apple Pay: bringing VP of Apple Pay Jennifer Bailey. 10:42 am: Hitting privacy hard: Anonymous, not associated with Apple ID, randomized identifier, not linked to other Apple services. Not shared with third parties. You're in control. 10:41 am: iOS 9 tries to anticipate needs and provide them, like a good assistant would. 10:40 am: Siri: "Show my photos from last June in San Francisco". Photos has new scrubber bar at the bottom, slide through photos. 10:39 am: Heads to kitchen, goes to Search and Siri is making suggestions for people to contact, apps, locations nearby. Coffee and breakfast places are suggested because its morning. 10:38 am: Goes to his gym. When he plugs in headphones, offers music. Then gets an email. Phone automatically adds event invitation. 10:37 am: When a notification comes in, takes him to iMessage. Tells Siri: "Remind me about this later today. "Includes link to iMessage right in the reminder. 10:35 am: New API for search, when user performs a search, find content in apps and pull that up in results. And when they tap, deep linked into application. 10:35 am: New search window, offers commonly used apps or contacts, one-tap links to nearby locations like food and drink, or breaking news. Improved search. 10:34 am: If there's a call coming in with number not in address book, phone can look in email and try to figure out who might be calling. 10:33 am: If you run in the morning, your phone can learn that you like to listen to music. Can offer music when you plug in headphones. Context sensitive to time, place. Might offer audiobook in the car. iPhone can take invitations that you get in email and automatically add to calendar. 10:33 am: In iOS 9, bringing proactive assistant. 10:33 am: "Remind me about this when I get home" -- reminder refers to what was being used when the reminder was done. 10:32 am: For iOS 9, SIri has new UI. "Show me photos from Utah last August." Great at taking reminders. "Remind me to grab my coffee off the roof of my car when I get in." 10:32 am: Siri has been 40% more accurate over the last year, down to 5%. Industry-leading number. Siri's 40% faster than ever at responding. 10:31 am: Starting with Intelligence and Siri. 10:31 am: Now, iOS 9. Want to improve battery life, performance, security. Adding intelligence to user experience, enhances how to use device but without compromising privacy. 10:30 am: Now, iOS. Recapping iOS 8. 83% adoption on active iPhone users. 10:30 am: That's OS X. 10:29 am: El Capitan is available to developers today. Public Beta in July, rolling out to everyone as free upgrade this Fall. 10:29 am: Blizzard, Feral, Foundry, Autodesk, Aspyr touted as adopting Metal. 10:28 am: Craig back on stage. 10:27 am: Showing new game called Fortnite, Metal "allows developers like us to develop better games"
10:25 am: 10x draw call performance, brought in Epic Games to adopt Metal. Bringing Epic folks for quick demo. 10:24 am: Metal is also great for high performance apps. Combines compute power of OpenCL and graphics power of OpenGL into new API that does both. Working with pro developers like Adobe, was able to deliver 8x improvement in rendering in After Effects. Moved drawing engine in Illustrator. 10:23 am: Much more efficiency and performance and battery life. 10:23 am: Way to accelerate graphics in high-performance games. High performance API to graphics hardware. Taking graphics stacks on which apps on OS X are built, Core Animation and Graphics, moving from OpenGL to Metal. 10:23 am: Deep architectural improvements. Adding Metal to OS X. 10:22 am: Many more features, but focusing on performance now. We're seeing 1.4x on app launch, 2x in app switching. 2x time to get first mail message, 4x faster to open PDF in preview. 10:21 am: New Power User features making it easier to deal with lots of windows. 10:20 am: Can split apps left and right on the screen, slide the windows to make them bigger or smaller. 10:20 am: New snapping apps feature, Windows-style. 10:20 am: Showing enhancements to full-screen in Mail, tabs in compose window, can hide in-progress messages and go back to main Inbox. 10:18 am: In Finder: "Documents I worked on last June" -- "A great way to search." 10:18 am: Searching in mail, "Mail I ignored from Phil". 10:17 am: Spotlight includes better contextually aware results. Smarter search: "Weather Friday" shows date-specific weather. "Slides from Brian about El Capitan". 10:16 am: Tabs show if music or video is playing in the background, allows users to mute background tabs easily. 10:16 am: Safari allows sites to be pinned to the tab bar. If a window is closed and reopened, the pinned sites reload instantly. 10:15 am: Easier than ever to find the cursor -- cursor gets bigger to help find it when waking a Mac. 10:14 am: We focused on two major areas. Experience and performance. 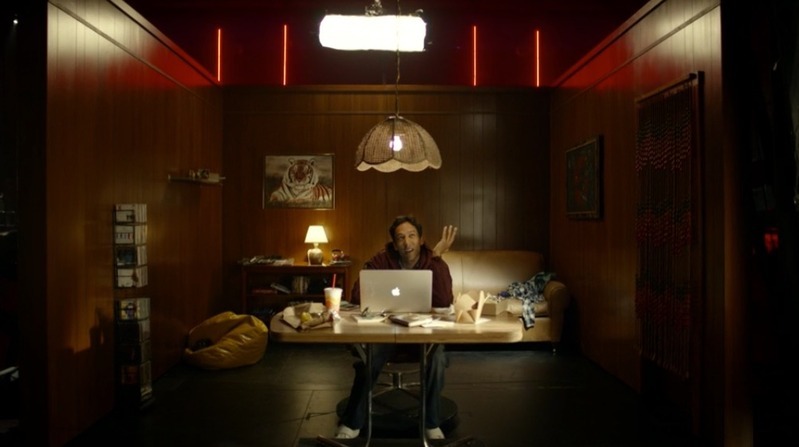 Made Spotlight more expressive and more powerful than ever. Made big enhancements to the apps you use most, and great advancements in how you manage windows on the system. 10:14 am: Not within themselves, but within Yosemite. The new name for OS X is El Capitan. 10:14 am: Typical California fashion, they started with a kickoff meeting. Then to a team-building off-site. Ultimately, this didn't yield any names. So they called in a consultant. He told them the answer was to be found within. 10:13 am: For our next big release, we wanted to build with great refinements and advances. What to call it? 10:13 am: Adoption rate is incredible, 55% of active Mac users are running our latest update. 7% running Windows 8.1. Fastest adoption rate for any PC operating system ever. 10:12 am: Yosemite is a big, bold beautiful release with a gorgeous new UI with breakthrough features like continuity. 10:12 am: Thrilled to be able to share it with you today. Starting with OS X. 10:12 am: Craig gets a big cheer from the assembled crowd. 10:12 am: Going to dispense with normal updates other than to tell you that everything is going great. I'd like to bring out Craig Federighi to take you through OS X and iOS. 10:11 am: All three together provide incredible opportunities for developers. And unbelievable possibilities for users. 10:11 am: We have a jam-packed morning for you. Bringing a lot of great capabilities to OS X. Update coming to iOS. And today, we're bringing native apps to the Watch, with a new version of watchOS. Gives developers even more time to create even greater apps for the watch that will change the world. 10:10 am: "What we're going to do, we're going to pay the ransom. I have the ball right here. We're giving the ball to Brandon, and we're going to give everything his teammates asked for to them -- so everyone's happy. Congratulations on 100 home runs, and good luck on the next 100!" 10:10 am: Talking about Cleveland player Brandon Moss, his teammates held his 100th home run ball for ransom -- whole list of ransom items is items from Apple. 10:09 am: A lot more people that would have liked to have been here this morning, but we can't fit people in. First time, we are not only live streaming the keynote, we're live streaming 30 sessions of the conference as well. 10:08 am: Our youngest scholarship winner is a 12-year old girl from New York. She is going to have a fantastic future ahead. 10:08 am: Attendees from 70 countries, 805 are first-time attendees. 350 student scholarship winners. 10:07 am: This is not only the epicenter of change, but of the industry. 10:07 am: "Welcome to San Francisco, welcome to WWDC 2015!" 10:07 am: Tim Cook comes on stage for the real start of WWDC. 10:05 am: Culminates in a musical sing-along about developers publishing apps to the App Store. 10:04 am: An elevator full of Tim Cook lookalikes. 10:03 am: Showing mascots from Angry Birds, Monument Valley. 10:02 am: We're starting with a comedy video showing "rehearsal" from yesterday afternoon. 10:00 am: An announcement has asked attendees to switch their devices to silent mode. Almost time! 9:58 am: Celebrities, Apple executives, reporters and WWDC attendees are milling about, waiting for the event to begin. 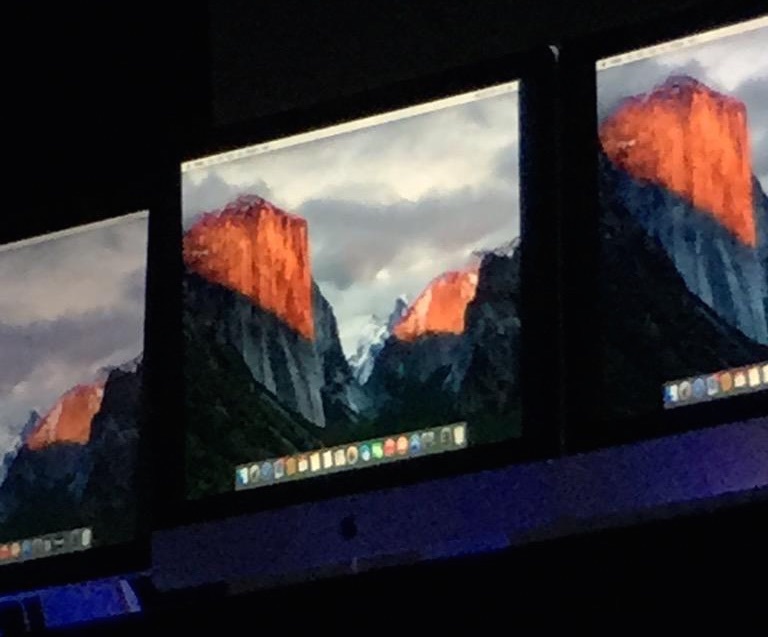 9:42 am: Mashable's Lance Ulanoff shares a photo of the iMacs on stage showing another Yosemite-themed desktop with El Capitan on the left and a snow-covered Half Dome in the distance. 9:37 am: Wall Street Journal reporting Apple Pay will begin supporting retail store-branded cards, popular for their discounts and other special offers. 9:24 am: Media members are being let into the room. Pharrell and Trent Reznor spotted up front, suggesting music will indeed be a big focus. 9:07 am: Re/code reporting Apple is going to ditch Newsstand, introduce a free Flipboard-like app for highlighting content from major media brands. 8:56 am: Just over an hour to go until the keynote. Attendees are in the holding area waiting to be let into the auditorium.